Read more "Pronouncing /ʌ/ and /æ/ in IELTS Speaking"
All the best to my IELTS students! 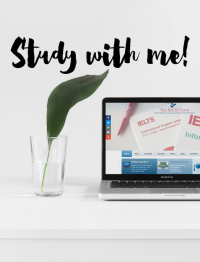 Read more "All the best to my IELTS students!" What if I don’t understand a word in the question in the IELTS? Read more "What if I don’t understand a word in the question in the IELTS?" How do IELTS examiners mark candidates? Read more "How do IELTS examiners mark candidates?" Read more "Pronouncing consonant clusters in IELTS Speaking"
Read more "Discussing money in IELTS Writing and Speaking"
IELTS Speaking Test – How to Score 9.5! If you are doing the IELTS soon, here is a little something to help you reduce your anxiety and de-stress before going into that interview room. Until next time! Read more "IELTS Speaking Test – How to Score 9.5!"